I have an awesome workshop for you, to help you enjoy life, your kids and make memories along the way! 6 weeks of loving your kids on purpose and with a plan! But don’t let the word “plan” scare you, I mean being intentional. I believe whole heartedly in building strong connections with our kids, no matter what age they are but the earlier the better. Those positive connections can be playful and intentional. But the lovely thing about this workshop is it’s not just about connecting with your kids but also on how to connect with your kids as a family in your everyday life. Why this is for you? You long to connect with your kids who are quickly growing up before your eyes. You desire to build strong connections with your kids. You have a hard time thinking of simple and fun ideas that will bring your family together. You simple don’t have the time to look up ideas on how to connect with your family. You struggle with knowing how to play with your children. You have a desire to strengthen your family. You’re ready to create some fun family traditions with your kids. The reality is life gets in the way from us connecting with our children. Whether it’s appointments, life phases, work stresses or just lack of time slowly we let go and neither our kids our love tank is being filled. You will receive weekly emails: 3 each week for 6 weeks. 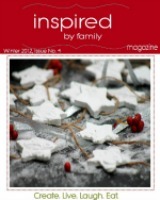 I will share with you our family fun inspirational ideas, activities, tips and tricks and traditions. You will have access to our Inspired by Family Adventures Facebook Group to share with like-minded people. You can register now for our EARLY BIRD registration price of $19 and if you have a friend join with you it will cost each of you $16.50 via PayPal. 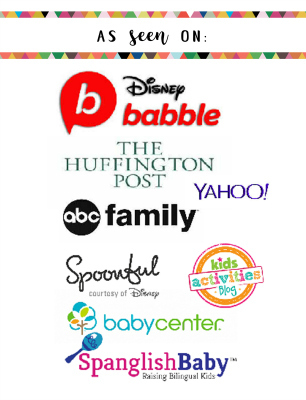 All you need to do is enter our paypal account [email protected] and in the notes section write: ABC’s of Connecting with Your Kids and make sure you leave your friends name so we can verify. If the email that you would like to receive your e-workshop is different from your Paypal account just leave the new email in the notes section. Once you pay you will receive a confirmation email within 24 hrs and access to our Facebook community right away and e-workshop introduction information on September 11th.